Getting colder, in a week. Last week I lamented my refrigerator not refrigerating. Do I go the route of most sane people when their refrigerator gives them a problem for the first time and call a repair service technician to come out and take a look? Hell no. I go buy a new refrigerator. My current (non-working) refrigerator is almost 8 years old. It's a low-end fridge, an any life span beyond the extended 5-year warranty I consider bonus time. The problem with the fridge is the compressor, and or things connected to the compressor. The most likely culprit is some type of computerized controller board since my problems started after the power had gone off (power surge?). A replacement compressor is $350 on the internet. Add in the cost of an out of warranty service call, labor, etc, I'd be lucky if it was fixed for $500. Even then it's still an 8 year old refrigerator that I know I'm going to have more problems with. I don't have good luck with refrigerators. This is a good time of year to have appliance problems. Many places are starting early Black Friday sales. Home Depot has an early Black Friday sale. 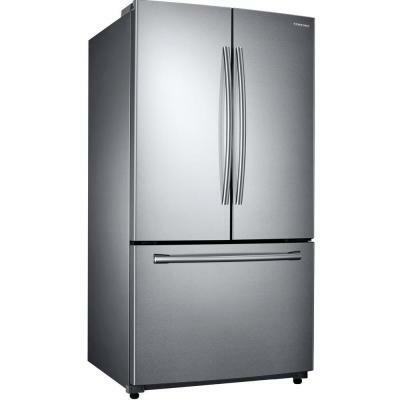 They even have (yet another) low-end refrigerator that has just what I want, along with not having things I don't want. So I took advantage of the sale and placed my order, because the Home Depot appliance department is just a showroom - everything is delivered from a centralized warehouse. In theory the refrigerator should get here this Saturday. In the interim I've dug out, cleaned, and plugged in my old 3-ft tall refrigerator that I used the last time my refrigerator died. I could have gotten a better model refrigerator. The one I got comes with a 5-year warranty. The salesman was really pushing a better model that has a 10-year warranty and has been one of their best sellers for the past 3 years. It cost twice as much as the one I bought. Plus it had all kinds of extra stuff I didn't want. Last twice as long for twice the price VS get what I actually want, and likely to buy it again in 5 years. Although I generally dislike the hassle of buying appliances, this time I'm going to not talk myself into getting something fancy that will last longer due to (basically) peer pressure. We'll see how all of this works out starting this weekend. 2 weeks ago, or so, my freezer stopped freezing and spent a day or so going to ~50° before bouncing back to 0° overnight. I thought at the time that I may have just not shut the door all the way. Last night I noticed more moisture than normal in the freezer, and the IR temp gun measured it at 40°. Today after work it's at 50°. I really don't have time for a broken freezer right now.